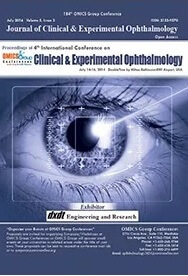 The success of the World Ophthalmology conference has given us the prospect to bring the gathering one more time. Conferenceseries llc Ltd hosted the “2nd International Conference on Ophthalmology” held during October 23 -25, 2017 at Hyatt Regency, Osaka, Japan. 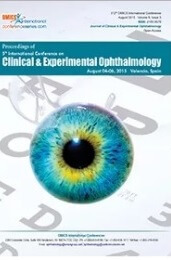 The conference was focused on learning about Ophthalmologists with the theme “Breaking the Barriers in Eye Research”. 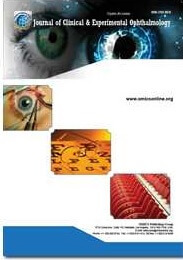 The conference mainly directs towards addressing main issues like Prevention, Diagnosis, and Treatment diseases of the eye and its innovative techniques. World Ophthalmology 2017 is one of the most appreciated Ophthalmology Conferences organized by Conferenceseries llc Ltd. This Ophthalmology conference was discussed on methods and strategies related to management, quality improvement of eye health as well as to explore the new ideas and concepts on global scale and the topics include Pediatric Ophthalmology, Glaucoma, Neuro Ophthalmology, Ophthalmology Research and Novel Approaches, Eye Surgery, Optometry and Vision Science, Clinical and Surgical Ophthalmology, Ophthalmology Practice. Conferencesereies llc Ltd offers its heartfelt appreciation to Organizing Committee Members, dexterous of field, various outside experts, company representatives and is obliged to other eminent personalities who interlaced with Conferencesereies llc Ltd and supported the conference in every aspect, without which the conference World Ophthalmology 2017 would not have been possible. Your rejoinder is our inspiration; keeping this motto in mind and being witnessed the triumph of, Conferencesereies llc Ltd would like to announce the commencement of the “World Ophthalmology 2018” to be held during July 10-11, 2018, Bangkok, Thailand . We welcome all the eminent researchers, students and delegate participants to take part in this upcoming conference to witness invaluable scientific discussions and contribute to the future innovations in the field of Ophthalmology and Vision Research.